The UN Human Rights Council in Geneva has elected the first Woman President. The UN Human Rights Council in Geneva has elected the first woman ever to serve as its President. Laura Dupuy Lasserre, from Uruguay replaces the outgoing president, Thailand’s Sihasak Phuangketkeow. She says she knows at first hand how important human rights are because her homeland, until a little over 20 years ago, suffered from a painful dictatorship. The Human Rights Council is an inter-governmental body within the UN system made up of 47 States responsible for strengthening the promotion and protection of human rights around the globe. The Council was created by the UN General Assembly on 15 March 2006 with the main purpose of addressing situations of human rights violations and make recommendations on them. One year after holding its first meeting, on 18 June 2007, the Council adopted its “Institution-building package” [Word file] providing elements to guide it in its future work. Among the elements is the new Universal Periodic Review mechanism which will assess the human rights situations in all 192 UN Member States. Other features include a new Advisory Committee which serves as the Council’s “think tank” providing it with expertise and advice on thematic human rights issues and the revised Complaints . Procedure mechanism which allows individuals and organizations to bring complaints about human rights violations to the attention of the Council. 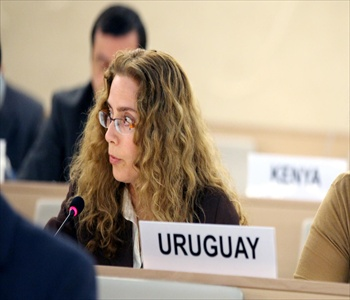 The Human Rights Council also continues to work closely with the UN Special Procedures established by the former Commission on Human Rights and assumed by the Council.